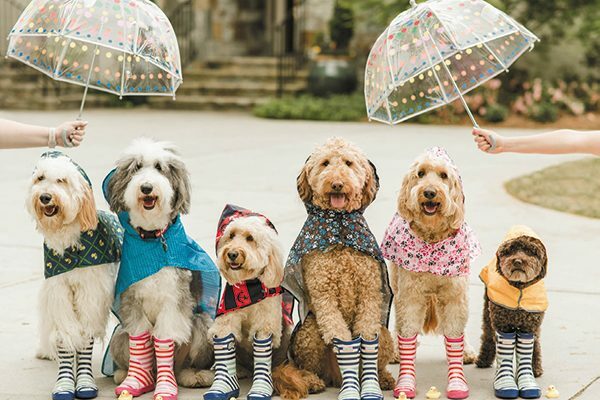 The post That Dood Squad: The Ultimate Photoshoot of Doodles by Annie Butler Shirreffs appeared first on Dogster. Copying over entire articles infringes on copyright laws. You may not be aware of it, but all of these articles were assigned, contracted and paid for, so they aren’t considered public domain. However, we appreciate that you like the article and would love it if you continued sharing just the first paragraph of an article, then linking out to the rest of the piece on Dogster.com. All dogs are adorable, but sometimes you run into one (or a group of them) with a little more of the squee factor. A perfect example? That Dood Squad, a group of various types of doodles belonging to seven best girlfriends in Atlanta who meet up at least once a month for brunch and mimosas — and to take epic photos of the dogs. Follow the adventures at thatdoodsquad.com and on Instagram. They began adventuring around Atlanta together looking for dog-friendly spots and fun photo ops. The canine part of the group consists of seven doodles: Addie, Cedar, two Charlies, Lola, Packer and Sheldon. Four of them (Addie, one of the Charlies, Packer and Sheldon) are certified therapy dogs who visit hospitals, rehabilitation centers and senior living facilities with Happy Tails Pet Therapy. Kim says they’re fairly certain that the dogs all must think their name is Stay. But in all seriousness, the dogs are well-behaved, well-socialized and all have passed their Canine Good Citizen Tests. “They know when it’s time to work or pose,” Kim says. And in exchange, they get extra love, treats and playtime. Their newfound fame hasn’t gone to the dogs’ heads. Kim says the pups just want treats and to be allowed to run and play with their mates, while the women giggle and worry about becoming stage mothers. Kim told me that the main goal is to bring smiles to faces. It certainly seems to be working!